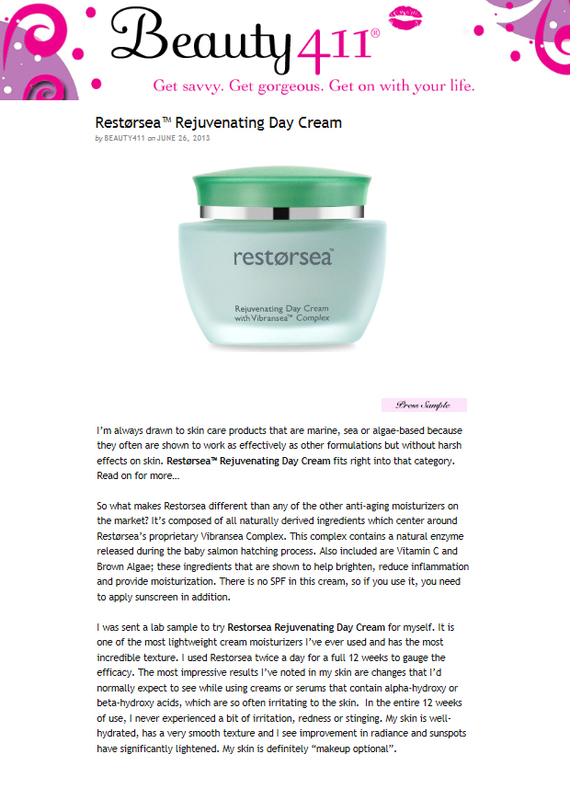 Beauty 411 gives Restorsea's Rejuvenating Day Cream an excellent review. Beauty 411 says, " It is one of the most lightweight cream moisturizers I’ve ever used and has the most incredible texture." Read the full article here.